Two proposals up for a vote in Hennepin County on Wednesday aim to slow the deportation pipeline connecting the jail to immigration court. Hennepin County Sheriff Richard Stanek routinely cooperates with Immigration and Customs Enforcement (ICE). For the past year, immigrant advocates and local elected officials have been trying to find ways to interfere with that practice, which they say is intended to hand undocumented immigrants to federal authorities on a platter. They've realized, though, that their options are limited. Local ordinances like sanctuary-city designations are symbolic, and others that would prohibit Stanek from coordinating with ICE would be inappropriate, given that he's also an elected official. "I needed to find a different way to countervail the sheriff's activities," said Marion Greene, a Hennepin County commissioner. Greene is spearheading two budget amendments. One would require the sheriff's office to inform those being booked of their rights not to speak with ICE. "We have overwhelming anecdotal evidence that residents aren't given this information," she said. "And are often kind of immediately, at a very vulnerable moment in the process, put on the phone with an ICE agent or made to go talk to an ICE agent in a room that they have at (the) county jail." The second budget amendment would set aside $250,000 next year to provide immigration defense to Hennepin County residents who qualify financially. There is no public defender system in immigration proceedings. Under the proposal, legal help would be offered to any Hennepin County resident facing deportation. Priority would be given to those in the jail. Greene recognizes that it's a small amount of money given the increasing demand. But her concerns extend beyond the funding question. She notes that the process by which inmates are booked into the Hennepin County jail makes it easier for ICE to find people. According to Stanek, out of 32,000 bookings in 2016, about 2,700 prisoners indicated they were foreign born and were put on the phone with ICE. Immigration authorities then sent what's called a "detainer request" for 267 of them. The Hennepin County jail doesn't honor detainer requests, which ask that the jail hold inmates beyond the length of time required under state law. "We don't hold them any longer than local charges," Stanek told the county board at a recent meeting. "If the judge says you're good to go, your probable cause expires at 3 a.m., you walk out the door at 3:01. If ICE wants to come pick them up, we would help facilitate the transfer." Although he doesn't honor detainer requests, Stanek does notify ICE when those inmates are released. He says he's obligated to cooperate with federal authorities. In 2016, about 0.2 percent of all Hennepin County inmates ended up detained by ICE. Immigration advocates say other sheriffs' cooperation with ICE doesn't rise to that level. For example, the Ramsey County Sheriff's Office doesn't ask for country of birth during the booking process. The county does ask for nation of citizenship, to notify consulates of certain countries that one of their citizens has been arrested. And Ramsey County authorities say they allow federal officials to contact inmates via phone, though it rarely happens. Major Tracey Martin, who runs the Hennepin County jail, said "most people do want to speak with ICE." "That's not true," countered Catalina Morales, an organizer with ISAIAH, the faith-based advocacy organization. She's been hearing anecdotes from families of people booked into the Hennepin County jail. "Most people don't want to speak with ICE," Morales said. "They just don't know, and they see authority and they think, 'Well, this is what I have to do because I'm already in jail.'" Commissioner Greene said that Hennepin County makes it easy for ICE agents to come into the jail. "The agent is in the jail, inside security," Greene said. "The person who's being released is in the process of putting their civilian clothes on, getting out of their orange suit, and that's when ICE has access to them." A lot of this happens without lawyers present. Those without legal representation are less likely to fight their cases and more likely to be deported. Only about 14 percent of undocumented immigrants have representation, according to immigration lawyers. 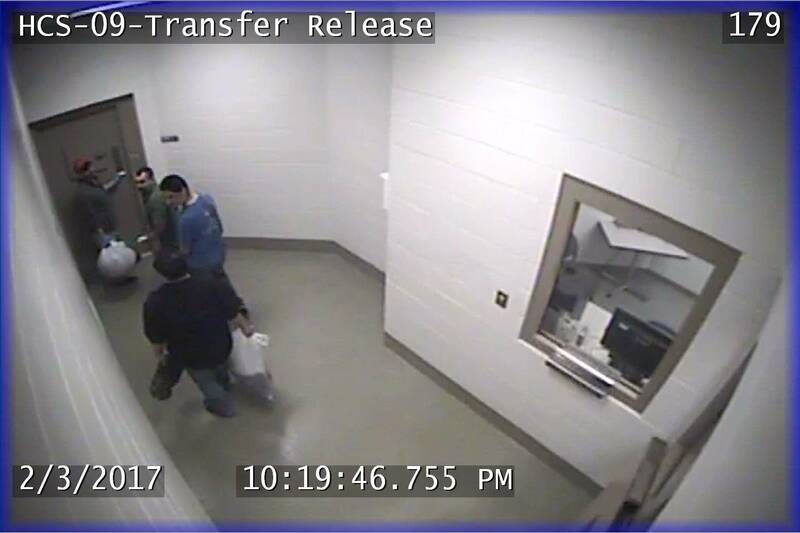 "You're still talking about literally hundreds of people," said U.S. Rep. Keith Ellison, D-Minn., who's been asking the sheriff to explain the county jail's practice of connecting people with ICE. "You're still imposing a procedure the law doesn't require." Over the past year, Ellison's office has been hearing from families affected by the process. A mother who got rear-ended and was deported for not having a driver's license is one that sticks in his mind. Another is a business owner who's been here for years and was forced to leave his auto body shop and employees because he was picked up by ICE. "This is not about one person and about casting blame at an individual," Ellison said. "This is about trying to preserve families." Lawyers, advocates and elected officials continue to refer to the case of Ariel Vences-Lopez. He's the Mexican immigrant who was arrested for fare evasion, obstruction and giving a false name to police on a light rail train in May. His case drew national attention when a passenger filmed the encounter and posted it to Facebook. He was quickly detained by ICE at the Hennepin County jail. "He'd negotiated, unrepresented, to stipulate for his own removal," said Michele Garnett McKenzie, deputy director for the Advocates for Human Rights. "That's how fast it happened." Legal representation is an important element of a complicated immigration system, she said, and Vences-Lopez's case shows how people negotiate without a full understanding of the effects their statements could have. A judge later released Vences-Lopez from custody after a public outcry and allowed him to apply for a visa to stay in the United States. An immigrant defense fund is a good first step to at least give individuals due process, Morales said. State criminal charges often remain on the records of undocumented immigrants because they're deported so fast, they don't have a chance to go to court and be found guilty or not. "They should be able to fight whatever charges they're having at the county level," she said. "There shouldn't be communication. There should be separation of power between counties and immigration."